After completing three years of university, and a decade of grade school before that, I have come to learn that one of the biggest universal fears among students is the terror that follows the loss, or potential loss, of an assignment. 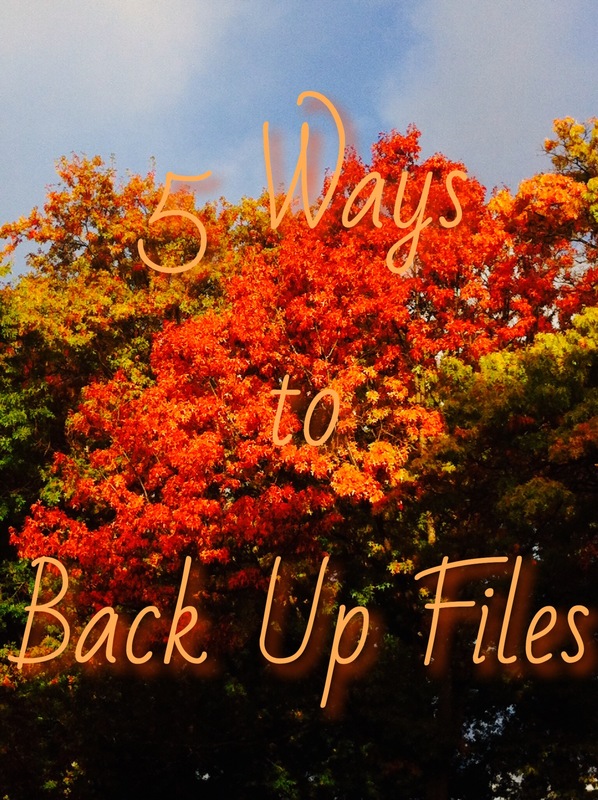 Because of this, I wanted to write a post about 5 ways I go about backing up my files so that I am spared the frantic search through recovered files for my assignment, or dread of having to re-write the assignment if it is lost in the void. I love doing this because it is so quick and easy. The only downside is that it can clog up your inbox if you have a lot of drafts for one assignment or multiple assignments on the go. However, once the assignment is completed and handed in, you can always go through your inbox and simply delete the drafts, keeping a final copy just in case. This is a super handy way to not only back up an projects or assignments you may be working on, but also to transport them. USB drives are especially helpful when working on a group project because each member can write their own portion and bring them to a group meeting on a USB drive where they can be put on the same computer and combined. Of course, just make sure you keep the USB drive in a safe place like on your keychain or in your pencil case, because the only flaw in this system is if the USB goes missing. This is a great long-term solution for keeping all your assignments saved and secure. For instance, I am still using the laptop I got back in 8th grade and it had a ton of files on it from my high school years that I didn’t need to be bringing to university with me everyday. So, I purchased a hard drive, transferred all my files onto it, and then deleted the vast majority of them off my laptop. Now I have much more free space on my laptop and a backup of all of my assignments. This is not the most environmentally-friendly way to back up files, and can be time-consuming depending on the length of the assignment due the time required to re-type out the draft if it did get lost, but it is a sure way to have hard copies of an assignment and ensure that no technology gets in the way. The cloud is probably the easiest and best way to back up your files. As much as I don’t like the idea of my documents floating around the digital atmosphere, I am forced to admit that dropping assignments in the cloud is a good way to save them, access them anywhere, and send them to others. How do you back up your files?? ?